This 2-post open frame relay rack by NavePoint is perfect for mounting servers and other networking equipment in space constrained situations. Made of high-quality SPCC Cold Rolled Steel with a powdered coated finish for durability. Flat Packed for easy shipment and requires some assembly. 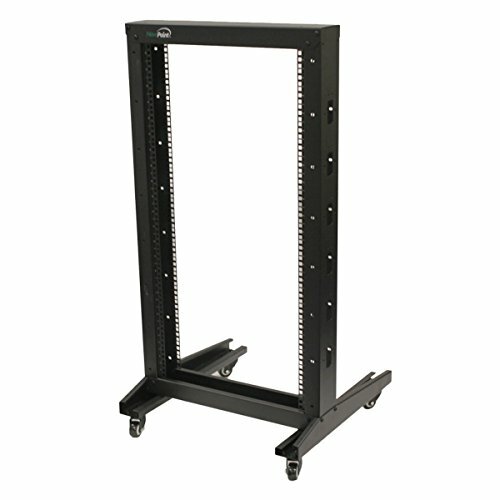 The rack comes equipped with casters for easy movement and relocation of equipment. Available in a variety heights.